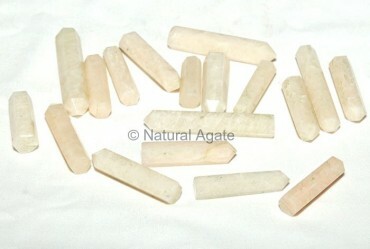 Cream moon Stone Pencil Point can be used for healing purpose. It is available on Natural Agate. The length of the pencil point lies between 20mm and 30mm.